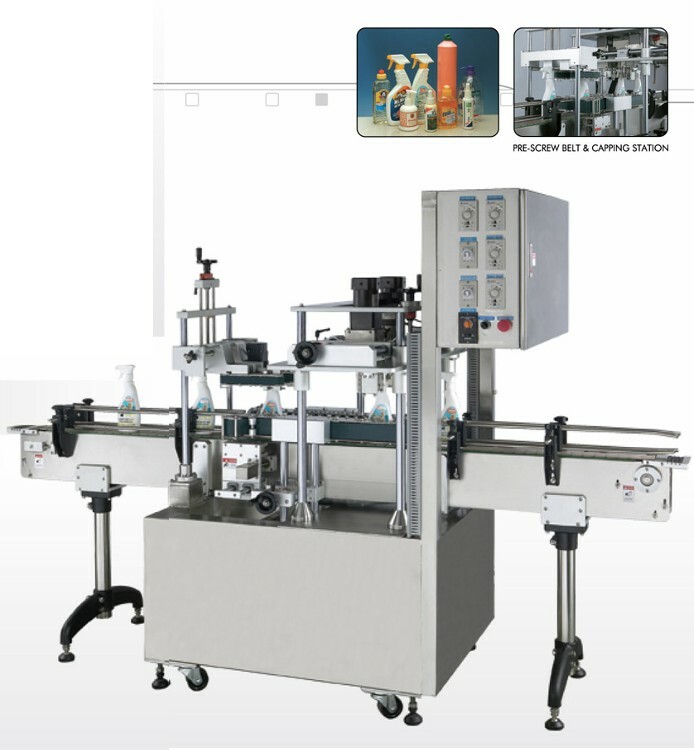 This machine is designed to handle plastic screw cap, snap hinge cap, flex brand cap, push-pull, pump cap, trigger spray pump cap, etc. for general products, ALL-IN-ONE no change parts are required for different caps. Stainless steel frame construction to meet GMP requirements. 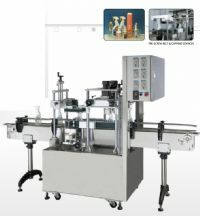 Applicable for both round and irreqular bottles and containers. Conveyor speed up to 20 meters per minute. Can be upgraded to fully automatic capper. 1.Cap sorter and cap chute for auto cap supplying.